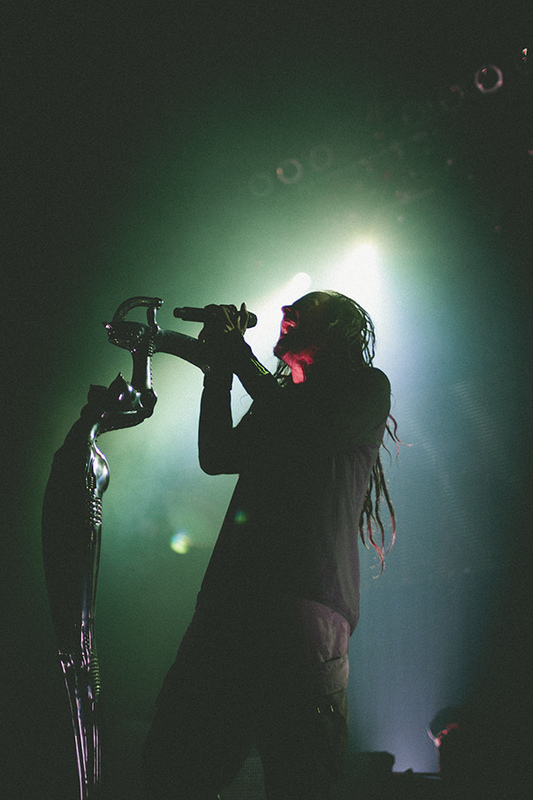 Korn’s front man Jonathan Davis has been preforming with his band for nearly 25 years, and when you’re the lead singer of a mega successful rock band, temptations are everywhere. It’s nothing new in the music industry to have a wide array of drugs at a member’s disposal and he’s not the first, or the last to struggle with sobriety. But instead of joining the infamous Jimi Hendrix, Janis Joplin or Jim Morrison’s early drug related deaths; he is working on his sobriety. Davis spoke out about his addiction to the anti-anxiety medication Xanax, after overcoming a recreational drug and alcohol problem 20 years beforehand. His last drink happened early on his career, after returning to his home for his grandfathers’ funeral. He sustained from drug use as well, but his lifelong anxiety disorder brought him back to using medications to overcome his illness. It started with Prozac but eventually he had been prescribed such a large dose it stopped working and he switched to Xanax. He told Forbes magazine about his anxiety growing, and its comforting effects at first, but once he felt its attachment growing, coming off it was difficult. “Then my anxiety started to become generalized. It wasn’t just panic attacks. I would wake up and be panicked all day, for 24 hours at a time. Then I started taking Xanax and was like “Ah, this helped.” But before I knew it, I didn’t want take it no more. When I stopped, I started shaking. I was like, “What the f***?” I called my doctor and he gave me the directions of how to wean off. When I weaned off the first time myself, it was not fun. The first two times I just started taking less and less, stepping down each time. It was tough. I shook a little, but it’s how it had to be. The last time, in 2013, I just had to come off. It was taking over my life. I quit cold turkey and went into the hospital. They gave me phenobarbital to keep me from going into seizures. It was a week of severe shaking. I couldn’t talk. I don’t wish that on anyone. He told the reporter for Forbes that the song “Medicate” is about his own experience battling benzodiazepine addiction. He is currently sober, and he credits it to clean living and abandoning that lifestyle to set a better example for his young children. And although he had been through rehabilitation and the detox process, he never ended up working a 12 step program. To me, all that stuff was negativity. To other people, it’s a wonderful thing. But, I’m a f***ing rock star. I’m gonna be around drugs and liquor. And if I don’t get over this, I’m not gonna succeed. Davis is a testament to rockstars who can make it through a lifetime of temptations, but younger musicians before him haven’t been as lucky. In November 15th 2017, up and coming rapper died of an overdose from a fatal mix of Xanax and Fentanyl just days following his 21st birthday. He was set to preform the night of his death. Celebrities are included in the statistics, and in 2014 the CDC reported more than 21 million Americans battle a serious drug addiction. 63,000 people died directly from drug overdoses in 2016, 2.7 million people died from drug related deaths.